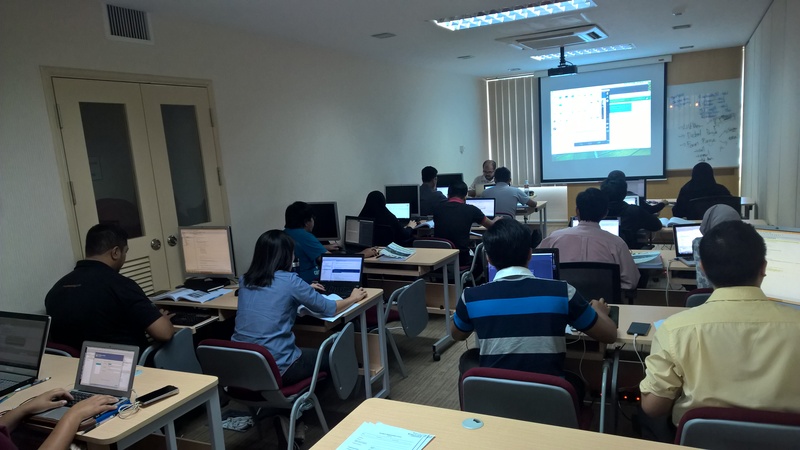 15th April 2016 – Tech One Solutions Sdn Bhd launched the first ever Mobile Application Development Course with Certification in Brunei Darussalam. These courses and the certifications come from iTrain Asia, a global leader in app development. Tech One and iTrain work in partnership to deliver intensive app and programming courses and certification in Brunei Darussalam. The selected Bruneian participants were fully sponsored by Tech One Solutions as part of the initiatives to uplift the software development capabilities in the country. The program was co-organized by the Authority for Info-communications Technology Industry of Brunei Darussalam [AITI]. The pool of participants were primarily from the CodeNext 2015 initiative organized by AITI and TruSynergy. CodeNext is a platform to expose youth and professionals to the world of programming and app development by providing them the opportunity to learn and create simple apps. The training was conducted by Wan Muzaffar Wan Hashim, a Mobile Development Corporate Trainer with 4 years of mobile app experience from iTrain Asia. At the end of the course, all the participants sat for an online exam for the certification. The pilot course was focused on Android platform. In the future developments, the course is set to include mobile app development on iOS and Windows platforms as well. With the success of the course, it is hoped that it will serve as a springboard to create a bigger pool of Mobile App developers here in the Sultanate. For those who are interested, contact Tech One Brunei at 2341862 or learn more atfacebook.com/techonebrunei. For more than a decade, Tech One has been committed to offering client-oriented services globally focused on facilitating efficiency, innovation, and creativity in the field of information technology.